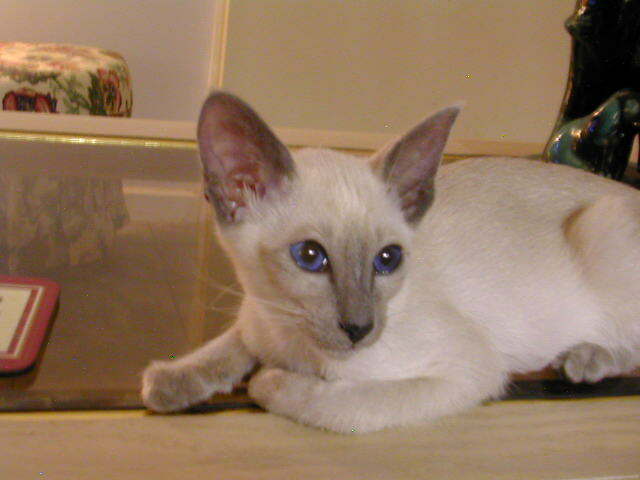 Blue Point Siamese 3.5 months old ready for new home. This little girl is extremely loving and has a wonderful outgoing nature. She is fully vaccinated until November 2003, wormed, litter trained and is very very pretty with her stunning deep blue eyes.